Looking for a unique spin on the same old hump day happy hour? Join us for Wednesday W.I.N.E. presented by Corkcicle, a series of monthly Women’s Interactive Networking Events hosted by Florida Citrus Sports. Our upcoming soiree will take place on February 13 at Camping World Stadium. 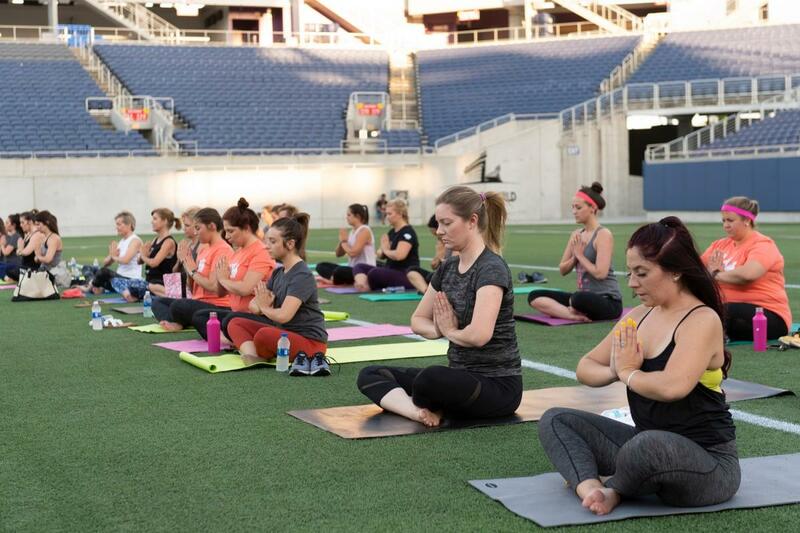 Admission includes a one-hour yoga class led by an experienced and enthusiastic local instructor on the field of Camping World Stadium followed by happy hour in the Dex Imaging Skyline Suite featuring a selection of wines, beer, soft drinks and appetizers. All Florida Citrus Sports members receive a complimentary ticket to this event. General admission and additional guest tickets are available for $10 each. All guests who join Florida Citrus Sports following the event will receive a refund equal to the cost of admission. The referring member will receive referral or membership sales drive credit.